You love our cocktails! Now we'll teach you how to make them at home. You will learn about the history of our cocktails and why each spirit is used. You will receive the cocktail recipes and be able to practice the techniques needed to make them. 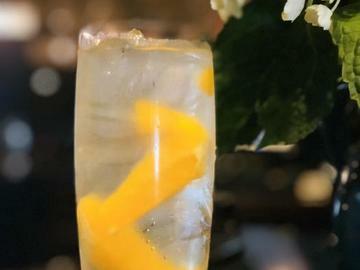 you will be confident in your abilities to make fabulous crafted cocktails at home. The best part, you get to drink what you learned. For only $25 per person, sample 6 cocktails and Chinese appetizers, sushi maki rolls. tickets are limited. buy now for Thursday, May 10th 2018 class starts from 6:30pm - ends 8:30pm. In addition, all attendees will receive a $10 gift certificate to use on a future date at Koi. Seat are limited, 21+ age, Tickets are required.